Find professional legal and insurance services in the New Hampshire Lakes Region. Serving the lake areas of Winnipesaukee, Squam, Winnisquam, Newfound, Ossipee and Sunapee. Protect yourself, your employees and your customers with the best quality insurance and legal services in New England! The Lakes Region is home to insurance brokers both local and national as well as quality and prestigious law firms covering the entire spectrum of specialties. The experts in our area are able to offer advice and more for your business, personal and professional needs. The Lakes Region Tourism Association is home to many member businesses that are here to assist both business owners and travelers alike. If you own a business in the greater Lakes Region of New Hampshire and would like to discuss how to become a member, and all of the exciting benefits of being a member, please feel free to give us a call and we can help you and your business get started! Cross Insurance is a family owned insurance agency made up of a network of wholly-owned subsidiary insurance agencies throughout Maine, New Hampshire, Massachusetts, Connecticut, New York and Rhode Island. 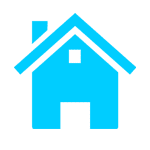 Homeowners/Condo-Owners/Tenant Homeowners insurance, Auto Insurance, Motorcycle Insurance, Life, Health, Recreational Vehicle, Boat, Umbrella Insurance and Business Insurance. HPM Insurance focuses on finding insurance solutions for clients who are looking to protect what matters to them. For generations we have protected the businesses and families throughout the Lakes Region and New Hampshire. Coverages available include Personal, Commercial, Life and Health Insurance including Homeowners, High-Value Home Owners, Condo, Condo Associations, Secondary and Seasonal Homes, Auto, Classic Car, Boat and Motorcycle Insurance to name a few. Please contact us today. A locally owned, independent agency established in 2009 with the goal of protecting clients’ auto, home, business and budget. The Insurance Outlet provides insurance solutions to individuals, families and businesses throughout the Lakes Region. Coverages available include personal, commercial, and life insurance including homeowners, auto, motorcycle, boat, recreational vehicles, small business liability, artisan contractors, and more. Please contact us today. Serving New England with Personal Insurance, Employee Benefits and HR Consulting for over 150 years. New Hampshire Employers Insurance Company values the opportunity to provide employers with the workers compensation services they expect and deserve. We partner with employers who share a genuine commitment to managing employee injuries, from loss prevention to return-to-work. Our service-oriented approach is unique in the industry. It is by being different that NH Employers Insurance Company has distinguished itself, and we are working to maintain that difference.